Warner Music has struck a wide-ranging deal with the Istanbul-based Doğan Group, which owns Doğan Music Company (DMC), Turkey’s largest independent record label, and DMC’s subsidiary NetD, one of the most popular channels on YouTube . Doğan Music Company (DMC) will distribute Warner Music’s physical product in Turkey and represent its repertoire to Turkish-owned digital music platforms. The deal will also see Warner Music repertoire hosted on NetD, which is one of the Top 5 most-viewed channels on YouTube, with nearly 13 million subscribers and 600m monthly official video views. The repertoire will be hosted on dedicated playlists that NetD will promote on its home page and popular social media channels. Warner Music will also partner with NetD’s significant influencer marketing network. They will create video content around Warner Music artists and songs that they will promote to their vast audience of predominantly Turkish viewers. Turkey is one of the world’s fast-growing recorded music markets. The latest IFPI figures show that the value of the market increased by 31.7% in 2017 to some $55m. 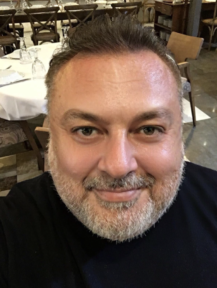 Alfonso Perez Soto, EVP, Eastern Europe, Middle East and Africa, Warner Music (pictured main), said: “Turkey is one of the most exciting emerging markets in the world. “We’re very focused on ensuring our artists have truly global impact and this deal will provide them with the best way to connect with Turkish music fans. Samsun Demir, CEO, DMC, added: “We take pride in assuming the representation in Turkey of the repertoire from one of most significant music companies in the world. This agreement will see us cooperate across so many areas. Forget Drake. The music sales story of the year could soon be Johnny Hallyday.